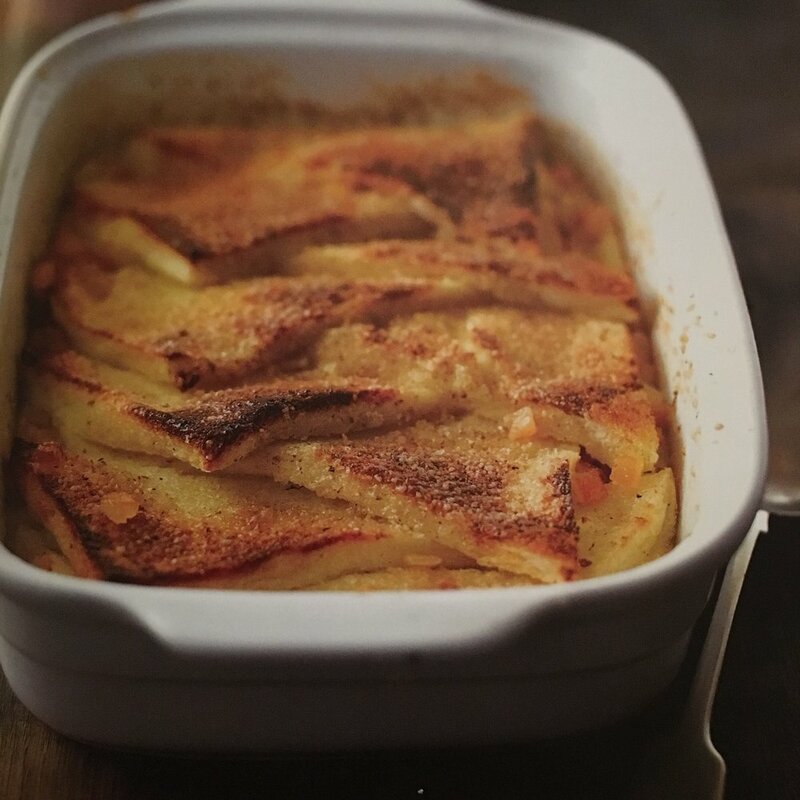 Soul filling, and palette satisfying, my Bread and Butter Brandy Pudding is easy to make for beginning bakers. It’s a great base to bake, and can be topped with virtually anything. Just use the best ingredients. Whipped cream, custard, and my personal favorite ice cream (not!). Some other suggestions for ways to top this bread pudding include chocolate sauce, grilled peaches and poached plums. So easy you almost can’t loose. Just don’t forget to set your timer!